Acting SFS chief criticized finance ministry plans. The Cabinet of Ministers abolished its last year's resolutions on the reform and reorganization of tax and customs bodies initiated by the Ministry of Finance. At a meeting on Thursday, 11 January, the government voided an earlier resolution approving the concept of reforming the system of state tax and customs policy bodies, and a resolution on the reorganization of the territorial bodies of the State Fiscal Service. The cancelled resolutions, adopted on March 29 and July 19 last year, provided for the establishment of an interregional customs and the interregional main directorate of the SFS. Regional customs and energy customs were planned to be reorganized by merging them with the interregional customs. The combined state tax inspectorates were supposed to be become part of the main offices of the SFS in the regions, and the latter, in turn, along with the large taxpayers' office, were meant to be included in the SFS interregional main directorate. 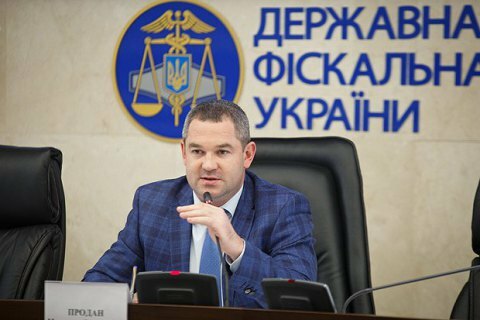 The acting head of the SFS Myroslav Prodan and the parliamentary committee on tax and customs policy, criticized these initiatives of the Ministry of Finance as non-sustainable. Finance Ministry, dismissed the criticism saying that the SFS leadership is unwilling to reform the department. Earlier, Finance Minister Oleksandr Danylyuk said that the SFS will be reformed following the example of the National Police.